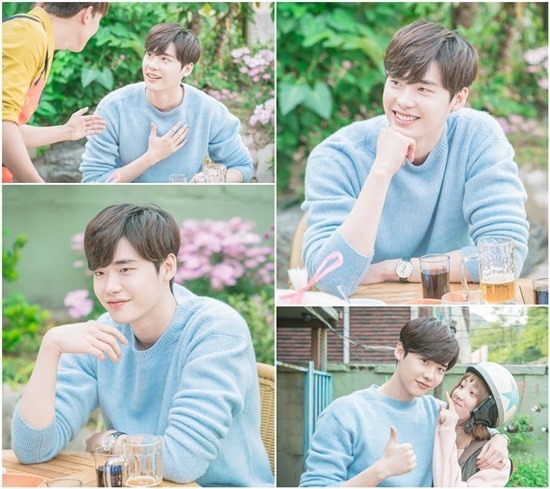 Chorokbaem Media released stills showing actor Lee Jong-suk making a cameo on the upcoming MBC drama “Weightlifting Fairy Kim Bok-joo” on Wednesday. Lee will appear in the drama as a customer at a chicken restaurant owned by the female lead’s father. “Weightlifting Fairy Kim Bok-joo” is set to air from Nov. 16, after MBC’s current drama “Shopping King Louie” ends.